After releasing Skyline, Nissan almost went synonymous in GT-R models. But with moving time company introduced models like R34 and R33. 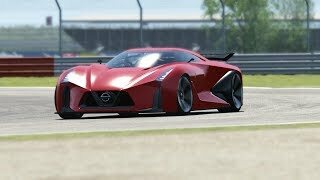 But our model for the day is company’s 15th anniversary celebration return gift; the Nissan Vision Gran Turismo Concept 2020 is a 2+2 virtual supercar portraying Nissan’s view towards future supercars. 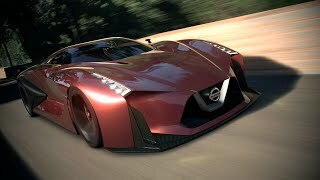 Let us check review of Nissan Vision Gran Turismo Concept 2020 to learn more. Nissan Vision Gran Turismo Concept 2020 is undoubtedly an example of designing futuristic being in aerodynamic boundaries. The radically designed Nissan Gran Turismo Concept 2020 comes with a V shaped grille adored over its trapezoidal mouth. Featuring carbon fiber fins in form of blade like structures are air intakes positioned vertically. Front looks more luxurious with the LED units carrying elongated and slim shape. The back end of Nissan Vision Gran Turismo Concept 2020 a massive carbon-fiber wing is mounted giving it an aggressive touch. The middle inclusion in bottom located diffusers is raised a bit giving it an ongoing look. The fenders at back inculcate inside tail lights with touch of future view. 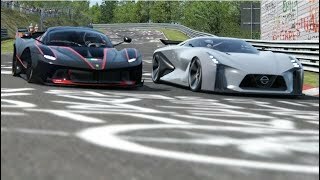 Same trend works on sides as well where a deep crease has been formed; giving Nissan Vision Gran Turismo Concept 2020, look like carrying an exhaust system on its sides. 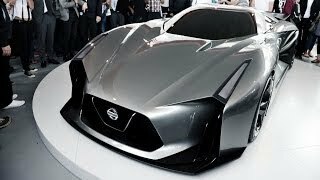 In all the entire process of creating Nissan Vision Gran Turismo Concept 2020 and the final design we have in front of us looked amazingly futuristic and being loyal having 80 percent of it in any production model will be no less than another life for any car lover. 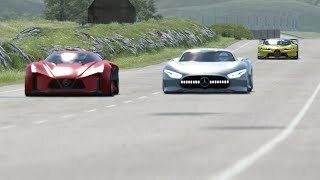 Having competitors like Mercedes Benz Vision Gran Turismo Concept and BMW Vision Gran Turismo Concept, the Nissan Vision Gran Turismo Concept 2020 will have to generate around 600 hp. We expect that the engineering team at Nissan will have to make this touch 60 mph from standstill in around 3.0 seconds. The figures we are talking about, are presented keeping in mind its competitors as till now we don’t have any word from the company’s side.